You’ll find thatched cottages spread throughout Limerick, but (for us at least) the best are found in the gorgeous village of Adare. These quaint little dwellings need to have their roofs replaced on a regular basis to remain weatherproof (yes, it works well for a while! ), but with such relentless charm to be found in the flower-packed gardens, petite rural houses and tiny old-school interiors, it’s easy to see why the occupants bother. Occasionally, they even come up for rent. Stroll through the village to find some, perhaps starting with the collection of little cottages near the Adare Manor (below). 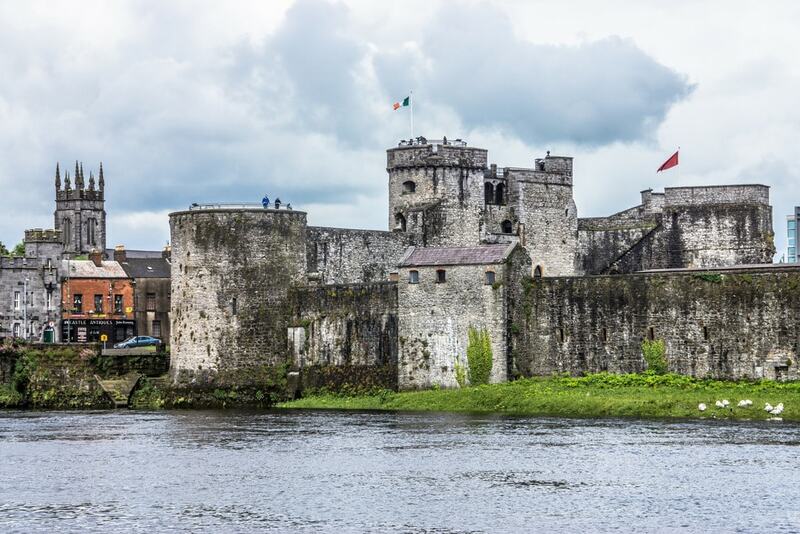 A 13th-century castle that wears the marks of 800 years of history (some of those years were particularly brutal), King John’s Castle overlooks the Shannon River, its flags and turrets somewhat less imposing than they must have seemed centuries ago. It might be more a sprawling complex than the compact, soaring castle of fairytales, but the thick, pock-marked walls mark a long-time defensive position. Even before King John ordered this particular river defence, the same spot was occupied by Vikings as an access point to the area. The recent museum redevelopment tells the story of the castle’s varied occupants and their undertakings over the years. Pre-dating even the castle by about half a century, St Mary’s Cathedral has undergone a mish-mash of building adaptations over the course of its lifetime, including the addition of a chunky tower. This historic building, typical of an Irish cathedral, once served as something of a defensive corner itself, in fact, and the sword-sharpening marks around its west door from those days are still visible. The cathedral is a serene yet domineering structure with plenty of interesting little corners to explore within. 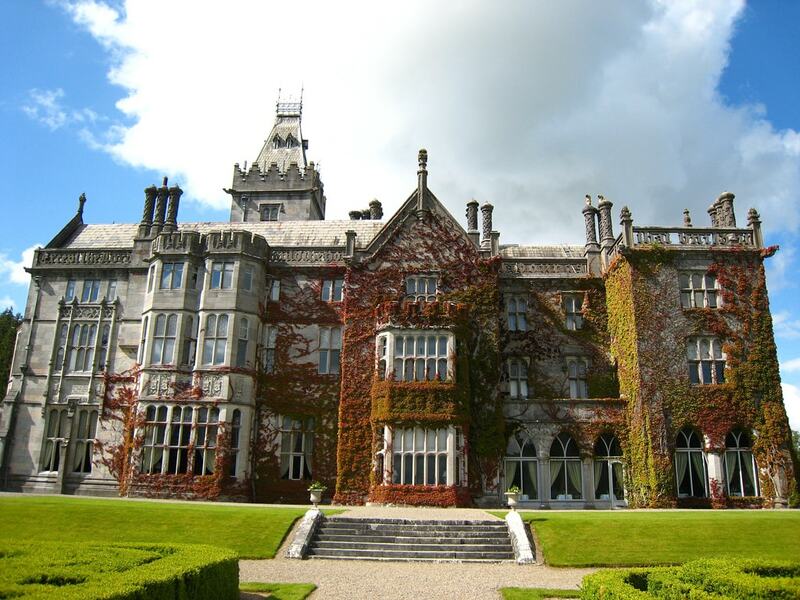 Adare Manor is now a newly reopened five-star hotel, the subject of expensive and careful development around its spectacular, nationally renowned golf course. Its history is somewhat more interesting, though. The unusual structure was born out of the problems of its occupants, as a passion project of the Earl of Dunraven in the early 1800s. The Earl was persuaded to develop the house by his worried wife when gout made him unable to continue his previously passionate outdoor activities. He added a different stained glass window for every day of the year, more than 50 chimneys, gargoyles and a lengthy bible verse running along the entire roof. Many of those features remain today. An old structure on Limerick’s riverside originally designed to do exactly what it sounds like it should (collect tolls), what makes The Toll House unique is the faux defensive structure attached to the otherwise normal (and tiny) building to give it a sense of grandeur. The house, on the end of a line of terraced structures on the river, and close to the castle, dates back to the 1840s and isn’t open to the public. However, the oddity of its placement and contrast with the surrounding neighbourhood make it well worth a stroll down the Shannon regardless. 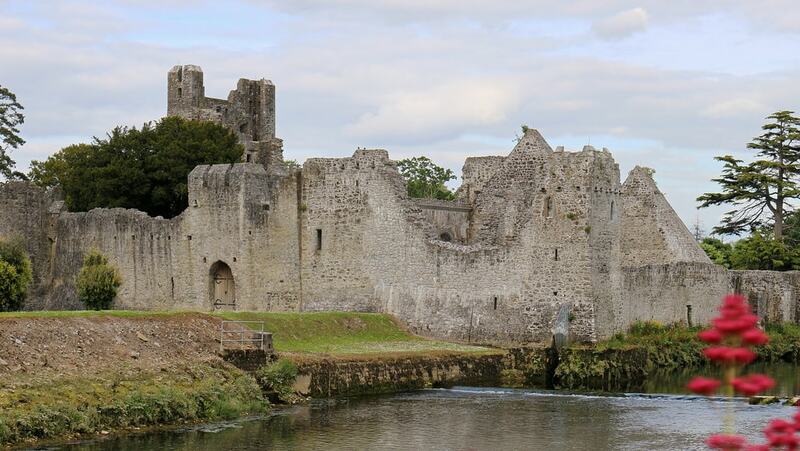 A glance at the Ireland of old is on offer at this riverside, long-ruined castle. Adare Desmond is essentially a shell of the old structure, but there’s enough left to justify tours, and the buildings and their surrounds make for a fantastic slightly off-the-beaten-track exploration. There’s a sacred fairy ring just around the corner, and very little development visible from the sight, giving this a real sense of the Ireland of its 13th century construction. One for the urban explorers (for whom an excellent Irish resource, incidentally, is here), Ballinagarde House is long abandoned, having been bankrupted by a notoriously arrogant man named Edward Croker. Constructed in 1774, the house is jokingly known locally as ‘I Doubt It Hall’. The name comes from the story of a resident’s deathbed tribute to the house (he rejected the concept of heaven, arguing that the house was better than heaven could be). It’s not regal anymore, it’s just a crumbling, moss-strewn wreck that makes for a great aside from more regular tourist attractions nearby. 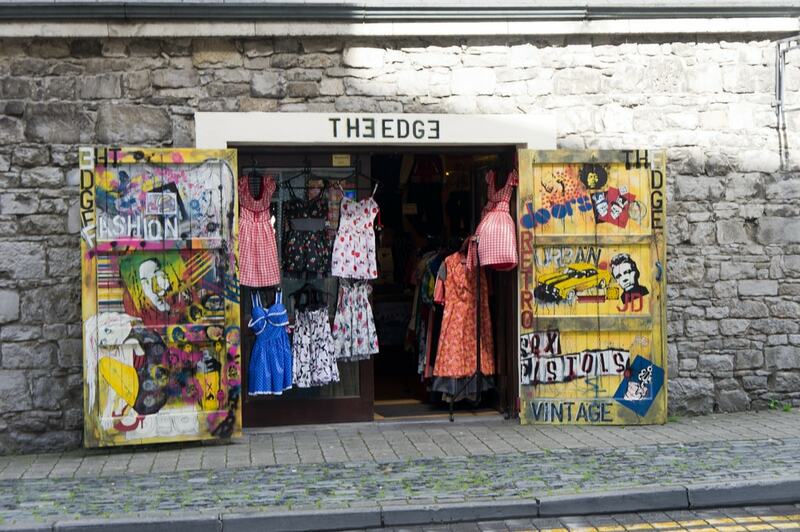 Made up of a small warren of tiny stores and a great open space of less permanent stalls, The Milk Market is a longstanding Limerick shopping hot spot that’s become fashionable, crafty, organic and local-leaning in recent years. The building itself is a square block around a peaked-canopy courtyard where most of the action takes place. A functional but charismatic and memorable spot, this is best visited at the heart of the action over the weekend.